This will be my last official post on improving in Smash 4. It’s been quite the journey, but I’ve had fun writing these for you guys, and I hope you’ve taken something from them and improved because of it. While this will be my last official post, fret not! I still have plenty of content aimed at improving in Super Smash Bros.: there are a few collaborative posts in the works, I’ve got some topics I received from the Chicago Smash 4 community after asking about topics they’d like me to cover that aren’t necessarily improvement-focused, and I’ll be starting a video series aimed at improvement to supplement this series. This will all be coming in the following months, so stay tuned for that! And now, without further adieu, let’s talk about character loyalty! Character Loyalty is a term generally used for a player that will stick with their character, no matter what. Maybe they love the character’s franchise, the character themselves, or the style of play the character provides. Either way, the player has their reasons for sticking with them. I’m going to go over another kind of character loyalty: the kind that will improve your play. The character that you eventually choose as your main is the character you’ll be spending the most time playing, watching, studying, and experimenting with. After all, you’re trying to win tournaments with this character. Now, while Smash 4 is a game that benefits from playing at least one other character (having a secondary), it’s a good idea to master your main before you even think about picking up a secondary. While a veteran can adapt to new character MU’s and player MU’s on the fly, it’s hard to stay consistent if you keep switching characters. Even veterans can become inconsistent if they keep switching for months because they’re struggling. Let me lay this out for you plainly: you have not mastered your character until you’ve been playing for at least a year. If you’re playing as many different people as possible, traveling out of state, and attending whenever out of state competition comes, it takes about a year to accumulate all the knowledge you’ve gained as a player to master your main, and that’s assuming you’ve only been using your main in tournament. All the research, techniques, and intricacies of your character that you need to learn for every single character MU and to adapt well to players takes a long time. Add onto that the general techniques you need to learn to execute if they help your character, and you’ve got quite a lot on your plate to practice. And then, you need to be able to utilize all of those techniques and information in a tournament settings. Being able to do it in Training Mode alone isn’t enough. And that’s why it can take so long to master your character. If you switch your characters, you’ve effectively barred your progress. And no, playing another character isn’t going to transfer over to your main. Smash 4 is in a stage where learning new things is still very possible and currently happening. When you return, you’re not suddenly going to be performing better because you don’t know every nook and cranny of the character to begin with: how can you possibly transfer skills from another character over when it might not even be effective? You could transfer over play style knowledge, but be wary that you might start playing the character in a way that’s really not efficient. For all the efficient ways to play character X, there’s also very inefficient ways. Now, most of these rules apply to new players who have picked up Super Smash Bros. when Smash 4 came out. Veterans, generally, have the fundamental know-how to switch a character and still perform decently, although they, too, will have to put some practice in before they achieve mastery, although it will take them a significantly less time to do so. My bottom line is this: if you’re new to the scene, stick to character loyalty before making the switch. At least master your character. You’ll gain valuable knowledge that will help you when you finally decide it’s time to pick up a secondary or change your main entirely. If you really can’t stand using your main now and want to switch, then you switch and you don’t look back. Do NOT use your old main in tournament. You’ll run into the same problems. Be loyal to your character, and you’ll succeed far more than juggling characters. 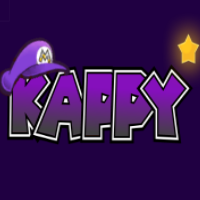 This entry was posted in Gaming, Smash and tagged 2015, Character, eight, gaming, improvement, in, Just, Just sayin', Kappy, kapz, loyalty, Sayin', Smash, Smash 4, Super Smash Bros., Super Smash Bros. 3DS, Super Smash Bros. Wii U, the, thekapz, Video game, videogame, VII, VIII. Bookmark the permalink.